More and more organizations want to get started with circular procurement. Are you involved in circular purchasing, for example as a buyer, project manager or sustainability consultant, and do you want to know how you can start with that? 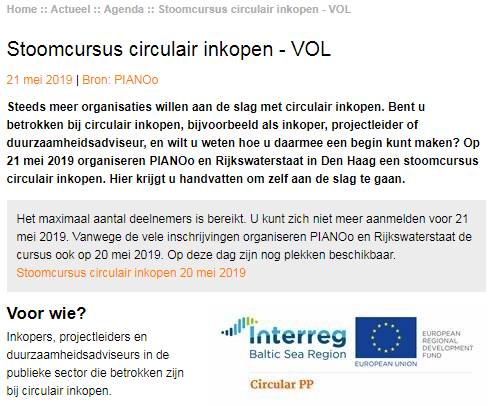 On 21 May 2019, PIANOo and Rijkswaterstaat are organizing a circular purchasing course in The Hague. Here you will find tools to get started yourself (link). Buyers, project leaders and sustainability advisers in the public sector who are involved in circular procurement. In an afternoon you will get a first introduction to the most important principles of circular purchasing. You will be given a step-by-step plan on how you can buy a project in a circular fashion. 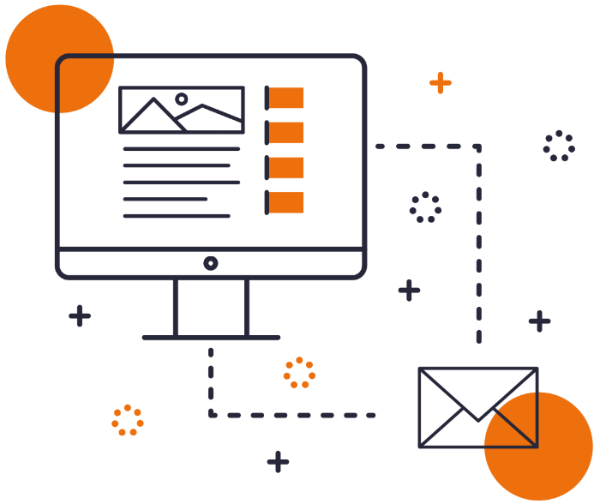 At the end of the training you know what circular purchasing is, to which product groups you can apply that, and you have an idea how to organize a circular purchasing process. This also includes taking your internal organization and market parties into account, as well as drafting appropriate requirements and criteria. The training is given by Copper8, an experienced consultancy in this field, which bundled its lessons last year in the book “Circular Purchasing in 8 steps”. Based on their experiences and practical examples, they help you to make a start. You will also get an overview of available tools and in-depth training and courses that are available. From 1 p.m. – 5 p.m. The steam course is offered for free from the INTERREG project Circular Public Procurement. There is room for a maximum of 25 participants. Error: Error validating access token: Session has expired on Saturday, 02-Feb-19 00:26:15 PST. The current time is Thursday, 25-Apr-19 12:42:08 PDT.